What are symptoms of myocarditis? What is the treatment for myocarditis? What is the prognosis (outlook) for patients with myocarditis? Myocarditis is inflammation of the heart muscle (myocardium). The inflammation of the heart muscle causes degeneration or death of heart muscle cells. Myocarditis has many different causes and can result in a range of outcomes from mild (presenting briefly and resolving) to rapidly progressing fatal disease. Myocarditis is differentiated from pericarditis because pericarditis is inflammation of the sac that surrounds the heart and does not involve heart muscle as myocarditis does. However, it is not unusual to have a patient present with both pericarditis and myocarditis. About half of the time, the triggering agent for myocardial inflammation is not known (idiopathic). This is especially true in pediatric population where the majority of patients are diagnosed with idiopathic myocarditis. Myocarditis is preliminarily diagnosed by detecting signs of irritation of heart muscle during the patient's history and physical exam. Blood tests for heart muscle enzymes (CPK levels) can be elevated. Electrical testing (EKG) can suggest irritation of heart muscle and document irregular beating of the heart. Nuclear heart scan testing can show irregular areas of heart muscle. Other tests to help definitively diagnose myocarditis include chest X-rays to determine the size and shape of the heart, MRI, and echocardiogram. Sometimes cardiac catheterization with heart muscle biopsy (endomyocardial biopsy) may be done to definitively determine the likely underlying cause for the disease. Often, myocarditis improves on its own without treatment with complete recovery. Sometimes, treatment of the underlying cause (such as bacterial infections) can lead to complete recovery (for example, after antibiotics). Consequently, the diagnosis of the precise underlying cause of myocarditis can help in the optimal choice of treatment. Individuals with severe symptoms of myocarditis (heart failure, acute shortness of breath) may require other treatments such as IV medications and/or vascular assist devices (pumps that help a weak heart pump) or extracorporeal membrane oxygenation (ECMO) to help provide oxygen to the blood. Occasionally, patients may require a heart transplant. Individuals who develop very irregular heartbeats (arrhythmias) may need an implanted pacemaker. The prognosis for patients with acute myocarditis who rapidly recover is very good. Even patients that develop severe myocarditis can completely recover with mild or no complications. However, if damage to the heart muscle becomes chronic and/or progressive, the prognosis for the patient declines. Those who develop severely weakened heart muscle cardiomyopathy have a poorer prognosis. 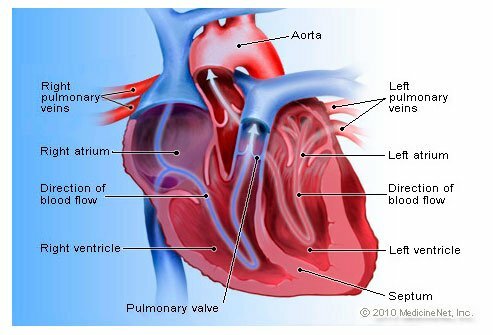 "Discover Myocarditis Causes, Symptoms, Diagnosis and Treatment." Myocarditis Foundation. 2015. Tang, W. H. W., et al. "Myocarditis." Medscape. 5 Sept. 2014. What were your symptoms of myocarditis? Please describe your experience with myocarditis. What forms of treatment, including medication or supplements, have you taken to treat conditions associated with myocarditis? Echocardiogram is a test using ultrasound to provide pictures of the heart's valves and chambers. There are several types of echocardiograms, for example, transthoracic echocardiogram, transesophageal echocardiogram (TEE), stress echocardiogram, dobutamine or adenosine/sestamibi stress echocardiogram, and and intravascular ultrasound.